Once I saw Peter Sills’ photo on the cover of a magazine, I reevaluated my own photo and decided that it was worthy after all. 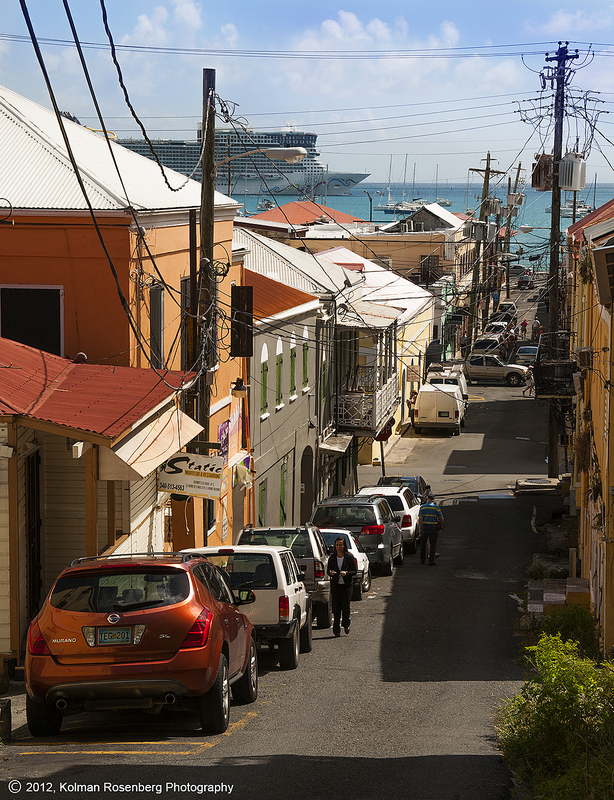 It shows some of the dichotomy of St. Thomas, poverty and modest living conditions living right alongside of elaborate cruise ships and tourist amenities! 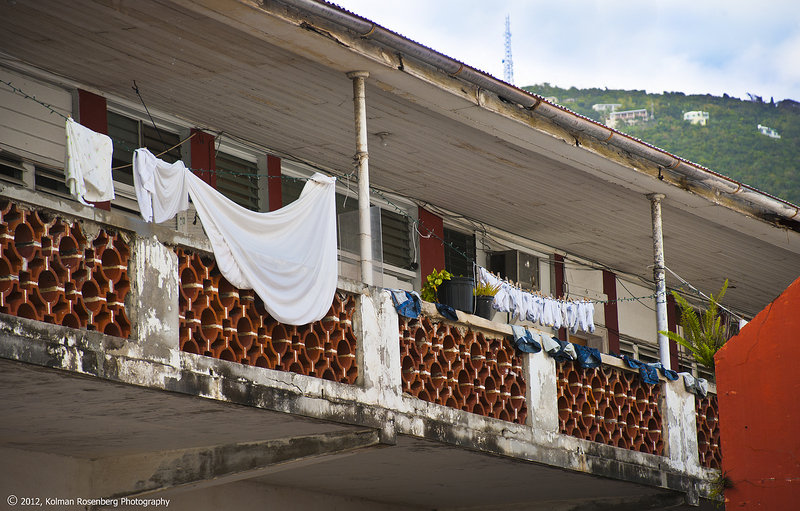 Apartment and hanging laundry in Charlotte Amalie. At the very bottom of the hill, looking back toward the interior of the island, I came across this scene of laundry hanging outside of a very modest apartment building. 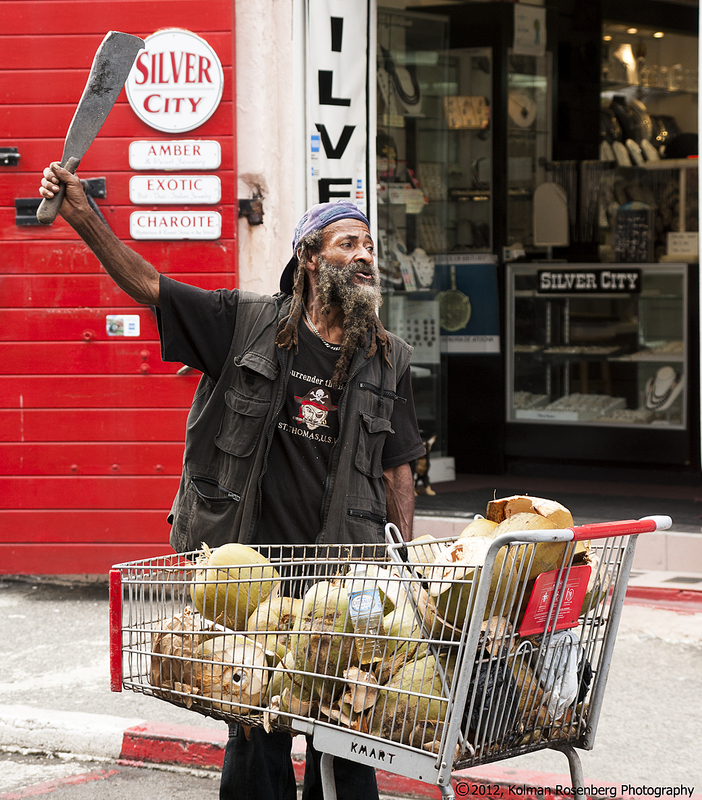 Then, within a few blocks, standing on a corner surrounded by jewelry shops, I came upon this fresh coconut vendor, waving a machete in the air! He put on quite a show, slicing open coconuts held in his left hand while weilding the machete in his right. It was a real slice of the life of the islanders, making a living from the much wealthier tourists. These were some of the types of photos I truly wanted to capture in St. Thomas, more than merely the typical record shots of beaches, resorts and cruise ships! This entry was posted in Uncategorized and tagged capitol, Charlotte Amalie, city, coconut, cruise ship, downtown, hanging, laundry, living conditions, machete, port, Poverty, St. Thomas, tourism, Travel, U.S.V.I., Unitied Stated, vacation, Virgin Islands. Bookmark the permalink.